If you’re a pure fan of the pro game of golf (like I am) you can’t help but appreciate the significance of the Tiger Woods win at The Farmers Championship at Torrey Pines, this past week. Why? Because if you watched any of his play you saw a lot of shots that looked like the old Tiger and that means that this year’s PGA Tour season could be something very entertaining. With Rory McIlroy and Tiger Woods #s 1 and 2 in the world rankings respectively, there could be a real dogfight all season during the majors and FedEx Cup. The 2013 season is shaping up to be something really special, especially since right behind Tiger and Rory are Dustin Johnson, Brent Snedeker and a ton of other great golfers from the US and European Tours. To get a perspective of you fast time seems to fly by sometimes, here’s a flashback from Tiger’s last win at Torrey Pines, almost 5 short years ago at the US Open in June 2008. The article that follows was written after Tiger Woods won his 14th major tournament by beating Rocco Mediate in the Monday playoff, then announcing the nature of his injuries and "out for the season" status. Like everyone else, I had no clue that during next year’s Thanksgiving, Tiger’s world would turn upside down and his golf game would go with it. If last year’s wins at Arnie’s and Jack’s tournaments and this years are any indication, it looks like Tiger Woods is ready to win some more majors and continue his all out assault on Jack Nicklaus’ major record, plus all the others he doesn’t already have. Trivia Question: How did the golf course Torrey Pines get it’s name? Anyone who says golf on TV is boring, doesn't watch it or wasn't watching this year's US Open, or both. As I'm finishing this story, the Monday playoff between Tiger Woods and Rocco Mediate is already over a week old. All too often major sporting events with this much hype and anticipation, end with disappointing outcomes. Just like most of the major golf tournaments in my recent memory this one was filled with drama, as I was glued to my seat until the final putt. If that wasn't enough, how about the startling news revealed after the tournament about Tiger's injuries and "out for the season" status? Hey, I'll bet that professional golf writers around the world have already written millions of words about the announcement, the planned surgery and details about the trickle down of effect of this stunning set of circumstances, that rocked the world of golf. As I'm not a professional writer I wrote this through the eyes of an amateur, with my own spin on what I saw. Here's a few of the many words I read that showed up in my email inbox the following day, that I thought summed up the 2008 US Open rather nicely. Regardless of who you were rooting for, you have to appreciate the history that we're experiencing: "Words no longer do justice to Tiger Woods. First, his winning of the U.S. Open in his first tournament since knee surgery - and without having walked 18 holes of golf in two months since that surgery - was impressive enough. But then to learn that he actually had a ruptured anterior cruciate ligament (ACL) in the knee, plus two stress fractures in the left leg?" The 2008 US Open will be remembered for it's high drama, uncertainty and doubt until the last putt was struck, as Tiger Woods finally prevailed. That statement is actually true for both regulation play and the playoff. As a golfer, this tournament spoke volumes about how exciting and dramatic major golf tournaments are. In the game of golf, just being able to hang in there and not crumble when shots are not going as planned is difficult enough. The ability to grind, re-group and post a score that's still better than most, is a skill only a few in the game have ever had. Add to that the circumstances around Tiger's injuries and this one will be remembered as TRULY SPECIAL in golf history. There's no doubt it will go down as one of the greatest performances by any athlete in any sport. As a viewer I felt similar drama watching this year's Players, the Masters, last year's British and US Opens, plus most of the majors in recent memory. To me, "golf is great theatre" is more than just a slogan, it's a great description. The majors during the last few years have lived up to the hype, but there's just more interest when Tiger's in the hunt. He's proven time and time again that anything can happen when he's in a position to win and don't ever believe it's over, till it's over. There's no secret I love watching championship golf on TV. For me, when the coverage starts late in the afternoon lasting through prime-time, it's an added bonus. As if it were scripted by NBC on Father's Day night, the final pair came to the 71st hole with both players (Woods and Westwood) tied for second place and the leader (Mediate) up ahead on the 72nd hole, with the tournament still up for grabs. I can't recall a major tournament where the last three players to finish all had a chance to win like this. At 8:52 PM EST, Tiger had the stage all to himself. On this occasion, he needed the entire hole to birdie the 18th. As we know by now, he rolled in a 12-footer to tie Rocco, forcing an 18 hole Monday playoff. I watched it all unfold. As usual, it did not disappoint. How did Tiger even get to that final putt to tie? Let's rewind back to Friday. On his first nine holes he was slopping it up at 3-over par. Fortunately, a few over par still keeps you within reach at the US Open. He managed to hang in there with the help of an eagle on #13, sandwiched in-between four bogies, playing what's described as military golf, hitting it left, right, left, right... all over the course. On many shots it was clearly visible that Tiger's knee was hurting, BADLY. On his back nine (which was actually the front nine of the course because they played the back nine first) it didn't start off any better, as Tiger's drive on hole #1 ended up next to a tree and just off the cart path. Because he was standing on the cart path he was entitled to a free drop, but because the ball could easily have ended up behind the tree, he decided to play it from where it lied. There was just enough room between the ball and cart path to hit it cleanly. The announcers poured it on thick, pointing out that Tiger wears metal spikes and the worry was that his leg would slip, injuring himself worse. In typical fashion, he not only hit it clean, he flushed it right onto the green and made the birdie putt. This was the spark that turned on the light switch, as he made three more threes and added another birdie for a score of thirty. As expected he found a way to enter moving day Saturday on page one of the leader board. During the third round Rocco Mediate was clearly the best player in the field. He entered his back nine with a three shot lead and six shots over Tiger, who struggled with a two over-par 37 on his front nine. On the back nine it was complete role reversal, with Rocco faltering at two over-par and Tiger turning on the switch again, shooting a 3-under par 33. After his second shot on #13 almost flew into the hole on a fly, it ended up over 60 feet away. If you're looking for a turning point, this would be a good place to start, as Tiger made the eagle putt. It was a tough down-hiller with a big break left, that was motoring until it landed DEAD CENTER in the cup. On the par three 17th, he missed the green with his tee shot, then chipped his second shot high into the air from an uphill lie on the side of the bunker. It landed a few inches from the hole on a fly, then hopped up and hit the pin DEAD CENTER, and dropped straight down into the hole for a birdie. Even Tiger had to laugh as his shot looked like it was going at least a few feet past before the hole swallowed it. This put him one shot behind Lee Westwood, the leader at that time. He then reached the par 5 18th hole in two. His eagle putt was a sharp breaking left to right slider from the top of a ridge, so it was going to be fast. DEAD CENTER is the only way to describe how the ball entered the hole. Now Tiger had a one stroke lead entering the final round and we all know his record when leading after three rounds in a major. Here's a hint (he's 13 & 0). Remember the original Wizard of Oz movie, where the first part was in black and white and the rest of the movie was in color? In comparison, the black and white portion of this year's US Open was Mediate's first 54 holes. The color came on starting when Tiger went double-bogey, bogey on Sunday's first two holes and Westwood also began to slide. Rocco was now in the lead and only Bob May in the 2000 PGA has challenged Tiger like this in the final round of a major. Up until now, the US Open was a story about Tiger Woods, his struggle and his determination, playing on one leg. Early on Sunday, the storyline was becoming more of a fairy tale about a journeyman pro golfer named Rocco, who everyone loved, but who hadn't won a pro tournament in six years. In fact the last and only time he was this close in a major was in the 2006 Masters. Entering the 15th hole on Saturday, Rocco found himself right in the thick of it, then he slipped and injured is back. If you remember him yukking it up in the TV booth in early 2007, this is why. He spent all last year rehabbing and this year needed to play his way into the US Open as one of the low qualifiers, before getting this opportunity. Like a heavyweight boxer with a shot at the title (just like in Rocky) Rocco knew this was probably his last chance to beat the best, and he gave it everything he had. Unfortunately, he was up against possibly the greatest the game of golf has ever seen. Will Tiger Woods break Jack Nicklaus' record of 18 majors and every other major record on the books? Will he go down as the best there ever was? OR will injuries prevent him from reaching these goals? What do you think? I welcome your comments. Please feel free to reply on my website “Ask ME a golf question” and post your comments. My inspiration for posting these articles are the same that prompted me in 1997 to write the Thumbs Down® how-to guide for better ball striking. During the early years of the 1990's I searched for a simple solution to cure my out of control slice but never found one. After a few years of extreme frustration trying to save my golf game, I discovered the power in the wrists, and used my hands to invent a revolutionary POWER MOVE I named Thumbs Down. Not only did I never find a simple cure, but the articles I read in the magazines and the simple TV tips from pros and top instructors only made it more complicated, confusing and counter-productive for me. Simply put: things got worse, not better for me. There’s no questioning the knowledge or credibility level of the top sources in golf, but I found they rarely communicate their message in a language a non-pro (the typical player like me and you) can relate to and even understand. Trying to apply their tips when I practiced all too often ended in frustration instead of the joy I initially intended. I couldn’t have scripted the perfect example of what I’m describing any better then recently after scanning through a copy of the leading golf magazine and reading a tip written and demonstrated by one of the world’s best pros. Anytime a top player offers a way to generate more power with less effort, a large audience of amateurs (like me) are anxiously reading and wanting to know more. This quick tip shows a picture of the player just after striking the ball, with head down and forearms rotating as the club extends about two feet beyond impact. I’ve seen this pose dozens of times and refer to it as classic power position. The typical player that views a picture like this is hoping for a simple explanation to discover some new magic move or secret that changes their game forever, but rarely gets it. Instead, a lot of technical language the average amateur can’t understand or relate to is used. Watching a world class athlete do what comes natural to them, then hearing their explanation of what they’re thinking is often not what we’re expecting them to say. In fact, most of the time it’s a frustrating and confusing experience. To elaborate, when a player describes that one of their key power moves happens AFTER the ball is struck, it means that solid ball striking comes natural to them. I guess hitting thousands of balls every week does that for some, but for the rest of us, there’s nothing natural about it. In fact, I believe that the moment of the golf swing that’s all too often “glanced over” is the most important split second in the entire golf swing. For me, unless the clubface is squared and makes solid contact with the ball, then follows a line to your target, nothing else really matters. For me, it was never as easy to execute as when pros and instructors say to “shake hands with the target.” To further drive my point home, go to the practice range and try this tip I saw for squaring the club at impact: Match your swing plane on the through-swing with your backswing and downswing. Are you confused yet? So am I. In sharp contrast, I’ve dedicated an entire how-to guide to the importance of starting with solid ball contact, then working backwards to improve the golf swing. I believe that the first ¾ of the golf swing is merely preparation to impact and the final ¼ (on the downswing when your hands are just below waist height) is where the swing REALLY begins. It’s the zone you need to master when you warm-up and practice. Thumbs Down, The POWER MOVE of Golf is all about MASTERING THE IMPACT ZONE first. Get this part right and your swing magically gets better. Golf is a complex game. There’s no question there are numerous steps in the golf swing that are extremely important – too many at times. All I know is that when I taught myself to square the club at impact, I finally learned to consistently hit the ball solidly with all my clubs and control where the ball is going. Oh, bye the way …my swing has also noticeably improved as a by-product of changing my swing thought priorities with Thumbs Down. Professional golfers are in a class by themselves. They’re SO good as compared to the rest of us it’s mind boggling to believe. What they do and how they explain what they do is equally difficult to fathom at times. In their attempt to KEEP IT SIMPLE pros and top instructors use technical terms which don’t often translate into better golf for the rest of us. For SIMPLICITY AT LAST, it's just Thumbs Up and Thumbs Down. What could be simpler? Or said a different way, Thumbs Down …for Thumbs Up results. In golf, it doesn’t get easier than this! It is high, it is far, it is gone. If you’ve ever watched a baseball game on TV or listened on the radio you’ve heard the announcer use this expression (or a similar one) after the ball is hit and looks like it’s on its way out of the park. The idea for this article came to me when I saw a picture in the newspaper, showing one of baseball’s power hitters, just after he finished his swing, in a perfect follow-through pose. Was it a home run? OR was it off the wall? OR was it just a long out OR a foul ball? What would the swing have looked like if the batter hit it on the end of the bat or a fraction of an inch too high? MY ANSWER: It probably would have looked exactly the same. Isn’t it funny how in baseball, the exact same swing can produce a foul back, a towering pop-up, a screaming liner right at someone or a monster blast, depending on where they hit the ball on the bat? Simply put: SOLID BALL CONTACT. Have you ever wondered why in golf, a good or bad shot is almost never explained in those simple terms? I know I have. Instead, if a shot is hit off-line the TV coverage typically replays the swing in slow motion and analyzes it something like this: See how the club is not parallel to the target line on the back-swing? Notice that the hips haven’t cleared yet, allowing the club to swing on-plane? All too often we hear technical language only physic majors understand, not typical amateurs like you and ME. In baseball, they talk in terms of “did he get it all” or get good wood, or hit it on the fat of the bat? Again, I ask did he make solid contact? In golf, the announcers say the shot stayed right because the player released the club too late through impact. Imagine being a relatively new player and having an instructor tell you to release the club. If they swung and let it, go could you blame them? What else could it possibly mean? Here’s my 2 cents: If you really want to Keep IT Simple, speak in a language the typical player can understand and can relate to, PLEASE! In baseball, good hitters are taught to drive the hands through the swing, break the wrists and hit the ball hard. In golf, we don’t have the luxury of just hitting the ball hard. It needs to go in the right direction and there are no do-overs, like a foul ball in baseball. In golf, great ball strikers have great hand action; yet when a player uses active hands at impact to square the club, many of today’s instructors refer to it as flipping, and that's definitely taboo. Instead, they teach the best players (the guys who hit hundreds or thousands of balls a week) to turn the hips and synch up the body, and let centrifugal force square the club naturally. MY ANSWER: Most of us are amateurs who don’t have time to practice and there’s nothing natural about it. Watch what the best players actually do with their hands (not what they say they do) and what you’ll see is how active their hands are at the ball and through the shot, just like in baseball. What the swings in both sports have in common is they happen in a flash. In golf, the ball makes contact with the club for less than 2 seconds total during the entire round. A pretty swing is nice, but more than 3/4 of the swing is just preparation to impact. Therefore, the most important split seconds of the golf swing are just before, during and immediately after the club strikes the ball. This is the portion of a Pro’s swing you need to copy. In simple terms; if the club isn’t square, the ball could go anywhere. Any player can quickly learn Thumbs Down®, The POWER MOVE of Golf. It SQUARES THE CLUB WITH YOUR EXISTING SWING, plus adds an extra pop on the ball without over swinging. It’s based on the same sound swing fundamentals taught by the best instructors …made easier than you ever imagined. Bottom Line… better golf, more often. • During an entire round, the club makes contact with the ball for less than two (2) seconds, TOTAL. If the club isn’t square, the ball can go anywhere. Recently I was contacted by one of my book customers, (who I’ll refer to as CB), who’s looking for more distance. After taking numerous lessons and attending golf school the feedback CB received from instructors was that he needs to square the club and make a stronger release at impact. After reading an article about me and Thumbs Down® The POWER MOVE of Golf in a local golf publication and seeing how it accomplishes both, he ordered my Pro edition. Next, he contacted me to play at his club and receive some personal on-course coaching. In addition to needing a fun day of golf I was happy to agree to meet with him and help my customer achieve his wishes. The question I asked myself after receiving his request is this: Why haven’t the lessons he’s already taken accomplished the distance increases and better ball striking results he was looking for? The answer that frequently pops into my mind is this; golf instructors spend a lot of time explaining what should be done, then fail to demonstrate a simple “how to” method that provides instant positive results from the student. That’s just my opinion, with no disrespect intended toward golf instructors, who work too hard and do too many great things for the great game of golf. My goal on this day was to provide a solution and see the positive results that day for myself. As we started hitting balls on the practice range I noticed that he had a good swing and struck the ball well. When I asked him why he needed me he said he wanted more distance, especially with the driver off the tee. I’ll admit that after demonstrating Thumbs Down and asking him to try it without any significant improvements, I was concerned that he might not experience the magic I expected and have seen in many others previously. As we began playing our round I originally didn’t see much that I could improve. Upon a closer look I noticed that he tended to smother the ball with a closed clubface, similar to the way I used to. I also noticed that the right hand (he’s a righty) of his grip was very weak and under the club instead of on top. All I did was suggest these two adjustments and see if there was any improvement for the remainder of the holes. Frankly I didn’t see much, but as I said before this was a skilled player to start with. After breaking for lunch, we headed out to the 10th tee. I then decided to demonstrate Thumbs Down in a more ideal setting to really learn it. Next to the tee box I put down a few balls, took out my wedge and hit them about 10 yards towards the tee markers. Short pitch shots are the best way to get the feel of hitting the ball solidly. This is the ball striking drill I do myself before I play and the first one I promote in my book. Now it was his turn. I told him to give make a Thumbs Up , then a Thumbs Down rotating motion several times with his right hand, and then do it with both hands as if he was gripping the club. I asked him to make that same motion with some short practice swings and then put down a ball and said to hit it towards the tee markers. The first one was hit well. The second was hit better and on the third shot I heard the perfect contact sound I was listening for and watched as the ball jumped off his club straight over the target. Perfection on the third try. It was easy to see that his hand and wrist action was now working the correct way at impact. There was a big smile on my face as I saw the results. In less than five minutes by adding “the missing ingredient” to his existing swing he was now putting the club in a stronger hitting position and letting the club do the work. Also, CB was accelerating into the ball and through the shot better than before. After striking several more right on the screws I could hear the sound of the perfect strike, but also saw the excitement in his eyes, similar to what I experienced the first time I discovered the magic of hitting the most solid shots of my life with Thumbs Down in 1995. Now came the moment of truth when he tried it with his driver, a custom fitted club he most wanted to hit longer. The ball took off and landed in the fairway over thirty yards longer than any of hi previous tee shots. With under 100 yards left he punched a solid wedge to within 10 feet, struck the putt and called out an enthusiastic “BIRDIE” as the ball dropped into the hole. We both had smiles and shared “high fives” as I could see this was the beginning of good times ahead. After hitting the next few tee shots equally as well he commented on how solid they all felt. The positive results spoke for themselves. The ball striking euphoria I was hoping for occurred on the 15th hole when after he hit his tee shot I heard him shout out; “YEAH BABY”. On the final three holes it was long, longer and longest as he saved his best for last. What a fitting ending to his day, when after hitting his longest tee shot of the round on the18th tee, his iron shot to the green went long. My comment to him; get used to hitting less club for now on. I’m confident that hitting the ball too far is the problem he’s been looking forward to solving for a long time. Thank you CB for an enjoyable day! As a northeast native for over fifty years I’m used to real winters, which seem to last at least twice as long as any of the other three seasons. For those of you in warmer climates, it’s hard to relate to some of the hidden weather related benefits we northeasterners enjoy, beginning around Thanksgiving time. A few of the highlights include early dark nights, bone chilling winds, followed by a serious case of cabin fever by the time Spring finally arrives. A bonus benefit from this winter and last was the workout from shoveling mountains of snow after the numerous nor’easters, blizzards, and other winter storms that took aim on us. People who say, “I like the changing of seasons” haven’t had the thrill of watching as the pretty foliage of fall quickly changes into a winter from hell only a few short weeks later. Add to that when you have a golf habit like I do, the fun is only multiplied (he said sarcastically) each year. As early as I can remember growing up and seeing mountains of snow all over during the winter, this year’s storms brought back memories, beginning after the season’s first blizzard at the end of December. Although there are times when it looked like the snow wouldn’t melt until May I’m happy to say it finally melted in early March. Trust me when I say that it’s nice to see the grass again. 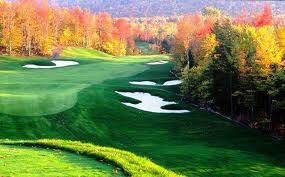 Another privilege golfers in the northeast have is starting their game over each new season. For those of us that don’t touch a club all winter, each new season presents a mystery to see what game will show up. Golf is challenging enough without having to work all season on refining your game only to have it end, then need to start-up again the next year. For those of you who have followed my newsletter over the years you know how much I focus on the importance of squaring the club at impact (or the moment of truth as some like to call it) versus the mechanics of the golf swing. The reason for my focus is based on my own dramatic improvement, ever since I added Thumbs Down, The POWER MOVE of Golf to my swing in 1995. After discovering the missing ingredient that added solid ball striking to my game, each year starts out at a higher level than it did in prior years when I had to rediscover my swing all over again. Believe it or not there’s a silver lining in the above scenario. It was the winter of 1994 when I made the discovery that lead to the beginning of Thumbs Down, The POWER MOVE of Golf. This was a dark period of time in my golfing life when my game needed a serious fix. The power fade that previously served me well for 25 years had turned into an out of control slice beginning in 1990. I lost distance and accuracy with every club, especially my shorter irons and was so desperate to fix it that I took my first lesson ever. It not only didn’t help but it made me more confused than ever and motivated me to find a simple solution that worked, on my own. On a wintery Sunday morning in February 1994 I tuned into a TV golf infomercial promoting the power in the wrists. After watching it I realized how little I used my wrists and hands in my golf swing like I did when hitting a baseball. I began my season in early March experimenting with hinging and snapping my wrists at the ball, with a motion I can only describe as flappy. I also completely changed my priorities from trying to overpower the ball with a powerful swing, to focusing on making solid contact with the clubface square. This made a big difference as I immediately improved my ball striking and more importantly my ball flight. The massive slices I was hitting were replaced by power fades and eventually soft draws, even with my irons, which I could never do before. As my game finally started coming back I continued to practice and tweak the hand and wrist action constantly. During a lunch break practice session one day the next season, the magical how-to power move I was looking for finally revealed itself in the form of a Thumbs Down motion, as I struck the ball. In addition to discovering a reliable and repeatable method of squaring the club at impact and adding distance to every club, I discovered that the key to my ball striking turnaround was a simple case of reversing my swing priorities. For many years I generated power by turning my body (contorting is a better description) to the max during the swing. When it all went bad my swing path cut across the ball at impact making a divot that confirmed the outside-in move of a slicer. The addition of Thumbs Down at impact to a more controlled swing, made everything that needed to happen, just happen like magic. My pet expression is that “physics just takes over”. Today, I hit the ball longer with more accuracy and control by focusing on final ¼ of my swing (the impact zone); getting the club in the ideal hitting position. Trust me, it makes a big difference when you let the club do the work versus trying to muscle the ball. Early on in my golfing life I realized that like it or not, my swing was my swing and I’ll never swing like a pro. Also, I don’t relate well to technical information about the right way to swing the club. Instead, I could feel if it was right or wrong, plus the ball confirmed it all for me. After I significantly improved my ball striking with the addition of Thumbs Down at impact, I now realized that I don’t need to swing like a pro as long as I can strike the ball like they do. After many years of looking at stop action photos in magazines and slow motion swing analysis on TV I noticed how different each player’s swing is but how similar the ball striking position is for the best players. In my last newsletter I gave my glowing endorsement of the super slow motion swing segments now part of virtually every golf telecast I see. Typically they show a full swing, followed by an analyst’s breakdown of the 100 most important things to do during a good golf swing. The analyst almost always closes by saying that the swing was followed by the player making a full release of the club. In my 40+ years of playing golf I still don’t understand or relate to the terminology the pundants use. Oddly enough, one of my greatest fears in the process of writing a book about my Thumbs Down discovery was the possibility that I’d see it copied in a magazine or elsewhere. Even more oddly is how rarely I hear thumbs used in a description of ball striking except as part of the grip. It’s odd to me because discovering my thumbs saved my golf and improved it exponentially. 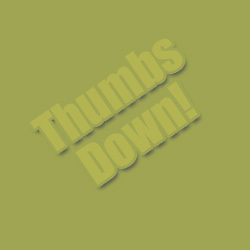 Over the past 15 years I’ve seen and heard many close calls but never has anyone used the term Thumbs Down like I do. The problem as I see it is that what I just described sounds very simple and very matter of factly. But when you zoom in and look at it up close through the microscope you’ll discover that Miller described a how-to move you can easily execute and repeat with every swing, during the most important moment in any golf swing …the split second just before the club makes contact with the ball. In addition to hitting down on the ball, if there was ever a “what do I do now?” ball striking 101 moment that a golfer needs to perfect, this is it. Why? BECAUSE YOU’LL USE IT DURING VIRTUALLY EVERY GOLF SWING YOU EVER TAKE DURING EVERY ROUND YOU EVER PLAY. Plain and simple. What frustrated me so much when I was having my own ball striking problems is that I heard many expert’s explanations of the importance of squaring the club at the moment of impact, only to hear them glance over the how-to do it part. Putting excluded, is there a more important part of the game than knowing how-to make solid contact, hit it cleaner and add accuracy and control to every shot? Hint: The answer is NO. Boiling it all down, probably the biggest discovery I made during the process of curing my out of control slice is discovering what a noticeable difference it made when I improved this portion of my swing. After seeing the impressive results, the next step was to change my practice routine and focus on solid ball contact drills. Simply by reversing the priority order, I discovered the missing ingredient that provided a dramatic change that saved my golf game. The funny part is that it was there all along, but hidden in all the clutter around it. A few Saturdays ago as I was thinking about writing this article I turned on The Golf Channel and caught the tail end of The Golf Fix, during a segment on swing plane. You’d think the golf gods were reading my mind because at the end of the show, Michael Breed closed with this statement. “Go see your PGA professional. He’ll help you understand more about swing plane.” My first question is why would anyone other than a physics major want to know more about swing plane? He gets real serious and explains the importance of selecting one thought and committing to it, then explains how we don’t want to stand over the ball and have 3 million swing thoughts. Choose one and go with it. Well that’s great if it’s the right one, but with 3 million to choose from, which 1 do you start with? Until I discovered the answer, I was searching like everyone else. My answer: Start with solid ball striking …and work backwards. Speaking of searching. Have you watched Tiger Woods lately? I never thought I’d ever see this but he’s hitting tee shots so far right, he looks amateurish. The issue I have with what I saw from Michael Breed is that he explains in detail what you need to do but skirts around the simple how-to do it part. Simply put …Thumbs Down®, The POWER MOVE of Golf is a how-to system that makes everything they want you to do happen the way they want you to do it. What’s unique is the “Teach Yourself” methodology that fits well into today’s fast paced, instant gratification lifestyles we live. Thanks to technology, the Martin Kaymer segment described above was recorded and is available for download. During the 15 seconds you’ll see a demonstration of the Thumbs Down drill I use when I initially teach it to a player, followed by a great how-to explanation by one of the greatest players in the history of the game of golf. How’s that for instant gratification? It’s scary how fast time is flying by. Don’t look now, but another new year is rapidly approaching. For many it’s already cold enough to have put the clubs away until next year. Personally, I’m not quite ready yet. In fact I played this past weekend when the weather was in the low 40s with 20-30 mph winds. Trust me, I’ve played in colder conditions. This time of the year it’s important to lower your scoring expectations and just enjoy being out there and playing the game. Let’s not forget that golf is a game and it’s supposed to be fun. At least that’s my attitude. In addition to putting (which is always important) the key to keeping the scorecard under control on cold windy days is to focus on solid ball striking. Fortunately on this day a few par putts dropped at the right time and because of my consistent ball striking and chipping I was satisfied with the end result in the low 80s. The previous week was another story as I had my best round of the year, playing on a much kinder and gentler day in the low 60s. After an opening birdie three which was the result of a 6-iron approach to within 6-feet, I shot a front nine 38. This was mainly due to my ability to hit many greens in regulation and scramble well enough to save pars when I missed greens. On the back nine I missed three short par putts on the first four holes, then held on for a 41 and a 79 total. It’s not the first time I turned a potential 72 into a 79, but any time I break 80 there’s a feeling of satisfaction. The most satisfying aspects of this round were that I was a ball-striking machine most of the day, with no 3-putts and no double bogies (my typical scorecard killers). Although solid ball striking is always my focus, on this day I paid particular attention to getting my wrists torqued up and set in position at the top of the backswing. This creates what I call the “slingshot effect”. Next, I fire the hands into the ball with a strong snapping rotation, turning Thumbs Down into impact. Adding this motion to the motion of the golf swing provides the missing ingredient for generating incredible amounts of power, accuracy and control to your swing. Striking the ball like this with the clubface squared not only feels right, but it rockets the ball online to the target, just like we draw it up on the blackboard in our minds. For those of us who live in the Northeastern US, springtime and the beginning of a new golf season is a time we look forward throughout the entire long and cold winter. If you live in this part of the world you know how discouraging it is to have to put down the clubs for a few months, then start over again to find our games the next season. To stay ball striking sharp while you’re forced indoors, I recommend a training aid you can use in your home throughout the winter. The Impact Bag is a user-friendly training aid used by most PGA Professional teachers, that focuses on helping you get the feel at the “moment of truth.” The Impact Bag comes with an instructional video by its inventor Dr. Gary Wiren, a member of the World Golf Teacher’s Hall of Fame. The Impact Bag is included with the Pro Plus System for $107 or is sold separately for $49.97 on this website. Both prices include domestic shipping. In life terms, lip service is when someone makes a promise or says they’ll do something, but they don't. It’s all talk and no action. In sports terms, lip service can be defined as someone who talks a good game, but doesn’t come through in the heat of battle. In the game of golf, when the hole gives lip service it means that the putts don’t go in. Especially in tournaments, when the putts don’t go in …you don’t win. It’s that simple. In a story I previously wrote called “Is 2K08 another Y2K”, I compared the game of Tiger Woods in 2000 (Y2K), when he dominated the world of golf and won “The Tiger Slam”, to his game in 2008 (2K08). In 2000, every important putt he looked at seemed to go in. When they didn’t go in they seemed to just miss by burning the edges or lipping out (lip service). In 2008, he started off the season with a winning streak that had the media making comparisons to Byron Nelson's. He ended the year as player of the year (again) and US Open champion. Most sports are described as “games of inches” and nowhere is this more true than in golf, where the difference between success and failure can be measured in hairs, blades of grass, or fractions of an inch. As proven at the 2012 Ryder Cup, the difference between winning and losing came down to putts that went in or just missed (lip service). Since the miracle US win in 1999 at The Country Club in Brookline, MA, the Europeans have dominated the Rider Cup. It’s no coincidence they seemed to make all the important putts, while the United States team got lip service. During the first two days of the 2012 event, the roles seemed to be reversed and the US were the team making the putts and seemed to be coasting to what looked like a runaway victory. Not so fast! Everything changed during the singles matches on the final day as Europe pulled their own miracle comeback. At the end, you could describe the difference as a reversal of lip service. To accurately describe how close the outcome actually was, picture this mok Monday morning quarterback scenario: Slice up that inch described above into three equal parts (.33). Subtract it from three putts (or chips) by members of the US team: Steve Stricker, Jim Furyk and Phil Mickelson during the final three holes that either rolled over the lip or that lipped out. Now the putts possibly go in and The United States wins the Rider Cup. Conversely, add the same .33 of an inch to putts that went in by Ian Poulter, Justin Rose and Martin Kaymer and lip service could possibly have stolen the Rider Cup from the European team. Oh well, we know it didn’t happen that way, but it was interesting to think about. Either way, the moral of this story is the same as described above. In golf if the putts don’t go in …you don’t win. Just listen to the announcers at any pro tournament and you will hear them talk about how much pressure the contenders are feeling (except Tiger of course). They’ll typically describe in detail the pounding of their hearts and the feeling of veins bulging out of their heads. For any pros that may be reading this story, I realize I might be way out of bounds for my viewpoint. After all, I’m not a pro and will never live in a pro’s shoes, so I’ll never REALLY know how much pressure or how nervous pro golfers get while they’re in contention for a win. What I do know is how I’ve reacted during club golf tournaments I’ve played in for past twenty-five years. Again, I realize it’s not the same as playing for big prize money, but it’s not as different as you may think. To me, there’s a big difference between pressure and nerves. What I’ve experienced is that I’m constantly putting pressure on myself to perform to the best of my ability. In golf it means always hitting good shots and making the makeable putts. The ironic side is that for me,the bigger the situation, the less nervous I actually feel. Pressure is a completely different story. All too often it’s the pressure I put on myself that leads to poor shot-making and bad decisions, not nerves. Nervousness is a feeling that happens before the opening tee shot and usually lasts until the first putt drops. After that, it’s over. Do you remember Annika Sorenstam’s opening tee shot at the 2003 Colonial, when she played in the men’s event? After months of anticipation you could tell she was extremely nervous on the first tee. After she saw her first tee shot land in the fairway I’ll bet the nerves disappeared, but the pressure was constant. The pressure to make birdies lasted until her final putt in round two, when she officially missed the cut. A few more putts made and she would have gone where no woman ever has. Throughout my college football and tournament golf experiences, the more competitive the battle, the more intense my concentration level. Instead of nerves, a feeling of calmness and increased focus takes over, which explains why I’ve performed my best in some of the most pressure packed situations. Having said that, all too often it works in reverse. All it takes is one or two mistakes early for the pressure demons to re-appear, causing more mistakes in a hurry. I can only believe it’s a similar feeling for professional athletes while they are competing. At the 2008 Buick Classic, Woody Austin said he choked when he didn’t make two closing pars to win the tournament. In my eyes he simply put too much pressure on himself to get the job done, including ramming his birdie putt on eighteen (to win) fifteen feet past the hole. Woodie suffered the dreaded birdie to bogey three-putt syndrome and lost by one shot. Although the announcers would have you believe otherwise, it wasn’t because he was nervous. We all put pressure on ourselves. Just look at the Women’s US Open during the same year, where Paula Creamer shot a front nine 41 in the final round. The day before I watched her miss several makeable birdie putts on the back nine, which would have given her the lead. For some reason the hole seems to shrink when you need to make the putts the most. In golf, scoring is all about making the putts. She missed them all and I believe it’s because she wanted to win so badly, putting too much pressure on herself. In tournament golf, when the putts don’t go in, you don’t win. When I was in the computer business the word FUD meant that a competitor was building up the Fear, Uncertainty and Doubt in the market. A good comparison is a political campaign, when candidates of opposite parties campaign by creating Fear, Uncertainty and Doubt in the voter’s mind about their opponent. FUD is also a good description of the feeling a golfer has on the greens, when makeable putts won’t go in. Failure on the greens is contagious and all too often I’ll putt defensively, in fear that if I run it past the hole more than a couple of feet, I’ll miss the come backer. As crazy as it sounds I’ve had some of my worst putting days when I hit the best shots onto the green. Missing makeable birdie putts is frustrating enough, but when birdies turn into three-putt bogeys, you just want to kick something and cry. I highly recommend crying, because the last time I had a major tantrum on the course was about 15 years ago during a member-guest club tournament. On the first hole of the second day I three putted after my birdie putt lipped out, then went to kick my golf bag and instead hit the metal post on the pull cart head-on with my big toe. I thought I broke my toe and limped around the final seventeen holes in pain). We’ve all seen Woody Austin’s approach to letting out steam by smacking his head with his putter until it’s bent out of shape. Let’s not forget, it’s just a game and it’s supposed to be fun! When David Feherty or Gary McCord talk about veins bulging from a player’s necks, I just don’t believe that’s what pros are feeling. Professional athletes are conditioned to compete. Although I’ll never have a first hand experience, I believe the field of play in the heat of the battle is where they feel most comfortable, not nervous. To best prove my point, just remember the Wimbledon final in 2008. You don’t hit shots like Roger Federer and Raphael Nadal hit in the fifth set and throughout the tie-breakers when your nervous. On my birthday in April each year I love celebrating by playing golf. What made my first round of the 2010 season an even more unexpected thrill was this; on the par four first hole I only needed three. Talk about keeping it simple; after a 250-yard tee shot in the fairway, my 140 yard 8-iron almost flew directly into the hole. Even though the greens were recently aerated and still covered with sand, the 10-foot putt dropped into the cup. For me, birdies on the first hole feel great, but typically they’re the kiss of death when it comes to scoring during the remainder of the round. Unfortunately, that’s exactly what also happened on this day. My ball striking was good, but with difficult putting and chipping conditions due to the early season greens (and my winter rust), I wasted shots here and there, so I finished with an 84. On the bright side, the weather was great and my goals were simply to get the season started and just enjoy being outside playing golf after a long winter layoff. I purposely mentioned my score to make a specific point about the rules of golf that may sound trivial. I don’t post a score on my card until the ball actually lands in the hole. Although it sounds like a fundamental part of the game, it’s NOT as common a practice in the world of non professional or non tournament golf as you’d think. Ask any golfer what the main objective of the game is and you’ll get a simple answer like this; to hit the ball from the tee into the hole in as few strokes as possible. I find it amusing, yet very sad when I watch golfers fail to finish a hole by NOT making the final putt. Instead, they do one or more of these (only a partial list in no particular order): pick up the ball sitting next to the hole, sweep it away, or give themselves a putt they feel they could have made. Very often you’ll see a player make a half hearted attempt to hole a short putt, but even if they miss they post it as if they made it. In all examples an incorrect score is posted. On this day, one member of my foursome played all nine holes (before he left) without having one putt actually hit the bottom of the hole. This means he had nine gimmees or simply put, he cheated on every hole. This article about cheating was inspired after observing it all around me during virtually every round of non tournament golf I play. A natural title for this story could easily have been, “Oh rules of golf, how do I cheat thee …let me count the ways”. You probably think I’m nit picking, but if you look closely you’ll discover that a large number of golfers play by their own rules, thinking they’re doing nothing wrong and that no one notices. I don’t think of most golfers as “real” cheaters, but instead “ethical cheaters”. I’m confident that if you told them they were cheaters, they’d be hurt and probably in a fighting mood. But, based on the rules of the game simply put, they cheat. The practice of not putting out is by far the rule most abused, but where else does cheating occur? The answer is …all over the course. The next greatest area of abuse that I notice is the lost ball, closely followed by shots hit out of bounds and into water hazards. In all cases the player hits a shot they can’t find. The correct thing to do is play a provisional ball just in case you don’t find the original shot, but sadly this rarely happens. This is a part of the game where strokes can add up on a scorecard in a hurry and typically they’re not counted. Observations made during my rounds in 2012 are too frequent to mention, but here’s a select few examples that make my point. One day, a player in my group hit a tee shot clearly into the woods that we never found, but instead of playing a provisional or a second tee shot and taking a stroke and distance, he just dropped a ball from near the woods and played on. On another hole I observed a player hitting his tee shot right towards the water, then making a non-complimentary remark as if he knew it went into the water. As he approached the water he found a ball (of a different brand from his last hole) short of the hazard and played it, even though it wasn’t his. On another hole this same player hit a blind recovery shot that wasn’t found after minutes of searching. When a fellow group member found a ball that clearly wasn’t the one we were looking for, the player claimed it and played it. A few weeks ago my playing partner hit several balls into the woods during his round. Like the example above, instead of playing provisional tee shots and taking a stroke and distance, he just dropped a ball from near the woods and played on. I stand corrected. On one hole he hit his first tee shot far to the right, followed by a second one on the same line. He never found either shot and then played the next one from an area near where they probably were. The key word is probably. Whatever score this player thought he shot for his round needed to have at least ten strokes added (and that’s being generous). Although this sounds like the exception, I find it to be more common than you’d think. It’s a good thing that golfers are honest people, don’t you agree? LOL). Bobby Jones once said “there’s golf and there’s tournament golf and the two are not very much alike”. If you play in tournaments YOU NEED TO KNOW THE RULES or trust me, you’ll be in for a rude awakening. During a qualifying round every stroke is counted, which means every putt needs to be made, WHICH MEANS THERE ARE NO GIMMEES. Any player who’s not prepared to make the short putts they’re not used to holing typically misses a few during tournaments and loses it. When a player qualifying for a tournament has to count every stroke from lost balls, shots hit out of bounds or hit into water hazards, they typically end up posting rounds much higher than they’re used to seeing. Even before you’re able to play in tournaments you have to establish a USGA approved handicap. This requires that every round played to be posted, another big area of abuse. A subtle way of cheating and believing you’re better than you really are is to post only your low rounds or posting an incorrect score that provides the handicap a player wishes he (or she) was. The problem here is that although it feeds the ego, it’s the kiss of death when it comes to competing in handicap tournaments. Why? Because a player either gives his opponent too many strokes and doesn’t play well enough to compete or gives strokes to a player they think they’re better than. In this example, all too often they find out the hard way they’re not as good as they think and lose their match. Similar to the Bobby Jones quote, there’s sports and there’s pro sports; and the same can be said when it comes to rule enforcement. In sports other than golf, rules are typically enforced subjectively by referees or umpires. Examples include the baseball strike zone, fouls called in pro basketball and penalties dished out in hockey. Obvious examples of this point occurred during the 2009 baseball playoffs where many mistakes were made in front of a worldwide audience. Perhaps the most catastrophic example in sports history happened when a pitcher in baseball lost a perfect game because of a blown call by the first base umpire, with two outs in the ninth inning. In this example, a historic moment did not occur simply due to human error. With so much on the line these days it’s too bad major league baseball hasn’t implemented more extensive usage of instant replay in an effort to get calls right. In professional golf, getting it right is of paramount concern. Sometimes rulings are enforced after TV coverage replays and analyses them, even if it’s hours after the fact. (Personally I don’t agree with that method). The best example of honesty I’ve heard of is when J.P. Hayes, a player competing at Q-school to qualify for the PGA Tour disqualified himself for playing a nonconforming golf ball. This cost him an entire year of tournament exemptions by calling a penalty no one else probably would have noticed. More recently, Brian Davis at Hilton Head called the rules officials when his club nicked a reed in a waste area on his back swing during a playoff against Jim Furyk. After an extensive super slow motion review it was revealed that he indeed suffered a two-stroke penalty, which caused him to lose the hole and the playoff. In contrast, during this year’s LPGA Kraft Nabisco major in early April, Michele Wie was in contention for the lead during the final round before she was given a two-stroke penalty for grounding her club in a water hazard after playing a shot from shallow water. Many video replays clearly showed she violated the rules and was forced to suffer the consequences, even though she carried on and complained about how she didn’t think it was fair. In this case Wie was wrong. After playing 25 years as a member of a private golf club and now playing public golf, I’ve noticed a few areas where public and private course players are not very much alike. Although bending the rules is a universal trait, here are a few differences I’ve observed (Please note that no disrespect is intended toward public course golfers): Playing the ball from where it lies is the first noticeable difference enforced more closely on a private course. When I first learned to play golf in 1964, I only played on public courses where the rule of thumb was that it’s OK to improve a lie from the fairway, by moving it a few inches (as long as it’s no closer to the hole). More liberties are taken to improve lies on a public course, but that’s understandable since the conditions are not typically as good as on private courses (just a rule of thumb). This is a general statement based on my own personal observations and again, there’s no disrespect intended for public courses. Personally, I’ve always believed that players shouldn’t be penalized for the poor condition of a golf course or the neglect of other golfers. Two examples include not replacing divots or raking bunkers. Obviously there are many other examples of ethical cheating on the golf course. I say ethical cheating because the player thinks what they’re doing is OK and they don’t intend to cheat. Trust me there’s a difference between this and cheating done by real cheaters, because I’ve played with real cheaters before and they’re a different breed all together. I welcome your own experiences watching both ethical and real cheaters in action. As I mentioned earlier, my early season scoring is typically rusty, but throughout the 2012 season that just ended, my ball striking was consistently sharp and accurate. Frankly, I’m impressed with how much more distance I gained this year, by making a few simple adjustments with my hands on the backswing and at impact. Thank you once again Thumbs Down, The POWER MOVE of Golf!! The simple fact is that it works and I’m not only it’s inventor, I’m also its biggest fan and a living testimonial of its results. Turning Thumbs Down at the ball at impact is the one thing the swings of all the best ball strikers have in common. A few years ago when Fred Couples was winning every tournament on the Champion’s Tour I saw a super slow motion replay of him striking the ball. We all know Couples for having a stress-free easy looking swing. Upon closer examination you’ll see how he’s the model example of how much power and control comes from adding Thumbs Down, “the missing ingredient “ for better ball striking to your swing. After showing Couple’s swing to Gary Wiren, Master PGA Top 100 Instructor and member of the Teacher’s Hall of Fame, he made this comment; “all good swings have their thumbs down (pointed toward the ball) at impact”. Contact ME and I’ll be happy to help you play your best golf ever, by improving your ball striking, in minutes. Bobby Jones once said, “there’s golf and there’s tournament golf …and the two are not very much alike”. I say, “there’s beginner golf and there’s serious golfer’s golf”…and the same can be said. They’re not very much alike. • Respect the golf course. Replace divots and repair ball marks on the green. • Play as fast as possible, maintaining a pace of play that doesn’t hold up any players behind you. • Stand still and quietly while other players are hitting and don’t walk in anyone’s putting line on the green. BUT, it’s a different story when experienced players feel that interpreting the rules “their way” is a right no one should dare to question. For these players, there’s only one word to describe what they’re doing; CHEATING! Maybe I’m just noticing it more lately, but it’s amazing to see club players or members of the golf industry blatantly cheat and think it’s OK. They treat mulligans, do-overs, preferred lies anywhere, and mental lapses in counting their actual strokes like it’s a normal part of the game that no one notices. They’re wrong, I’m noticing. One of the many beauties of golf is that each player is their own umpire or referee, responsible for enforcing their own rules. With all the talk about golf being a game of honor, a sport that epitomizes the balance between skill, competition and integrity, why is cheating such an accepted part of the game for some players? I’ll never understand what they’re thinking, except the golf course does make an ideal setting for any person with the mentality of “what they don’t see won’t hurt them”. Golf is a special sport, with a large majority of golfers honest and trustworthy. My earliest memories at the golf course recall seeing bags of beautiful clubs standing unattended in front of the clubhouse and thinking anyone could steal these at anytime. I remember my father telling me that the golf course is the safest place around, because golfers are the most honest people you’ll find anywhere. Around the clubhouse is one thing, but on the course where no one’s looking (or so they think) is a completely different story, especially once the competitive juices start to flow and egos take over. Nothing surprises me anymore. For the record I personally don’t consider it cheating when you violate a rule without realizing it. (The Rules of Golf has never been an easy read or very understandable). I also believe that a player should not be penalized due to the poor condition of the golf course, but the rule’s of golf Gods don’t agree. During my youth playing on public courses the rule of thumb was preferred lies on the fairway and leave it lie in the rough. Most friendly and casual games are played using paradise rules, which means moving the ball onto a preferred lie on any shot, is OK. This is especially the case when golfer’s are first learning to play the game. The only BUT in the last statement is this; if you’re going to move the ball, DON’T move it closer to the hole, EVER. The cheating I’m describing is either when the rules are violated or the score on the card doesn’t reflect the actual number of swings at the ball, OR BOTH. They usually go hand in hand. Have you seen the TGW commercial on the Golf Channel with two guys in a cart adding up one player’s score. After replaying many shots, plus one in the water and one out of bounds, he says give me a four. I realize this is a bit far fetched but let me share some of what I’ve seen on the golf course battlefield. These are actual events I’ve witnessed, with each player’s name disguised, to protect further personal embarrassment. Player 1 – Have you ever played with someone they call “the umpire”. That’s because he always keeps an extra ball in his pocket and drops it out when he can’t find his original shot. One round when I watched him look for a ball that sliced out of bounds I saw him take a ball out of his pocket and throw it ahead to play it. I called out, “you’re not going to play that one, are you”? He had a sick look when he realized I caught him. On another occasion I watched him search 20-30 yards beyond where his ball. In fact I found his ball (I know that because I saw the logo on the last green while he was putting), then called out “what ball are you playing”? His back-up plan just in case this happens is to say it has a Court TV logo. Since it never does, he drops one plays on without penalty. When he’s not moving the ball in the rough (almost always closer to the hole) and giving himself a preferred lie, this player often times picks up the ball and places it, (again closer to hole). This is the same player who criticizes his former group for doing the same. When he does have a bad lie and misses the shot he blames the course and takes his do-over. After skulling the first shot into the face of the bunker he tries it again, then get’s pissed off and starts swinging wildly. On the greens, he takes liberty with concept of “the gimmee”. When his approach shot stops within four to six feet of the hole he putts with the pin in, so if he misses he counts it as if he made it, a gimmee. He almost always steals an extra inch (or more) by marking the ball on the green closer to the hole. Last but not least, never play this player in a match or expect to watch every shot like a hawk. That includes asking him and agreeing on his score after every hole. Even during tournaments he’ll leave a stoke or two off the total when it takes four or five out of the bunker. In fact, as I’m finishing this story, I have a good example of this from yesterday’s round. On the 16th hole he pops up the tee shot about 150 yards, leaving 200+ yards to the green. The second shot goes left and ends up in high grass near a tree just short of the green. Shot three lands short. A chip and two putts. As he taps in the sixth shot he says, bogey and puts a five on his card. This is very common, as his scorecard often reads bogey or occasionally double-bogey or more. I know this because the new pull carts at our club have a clip for the scorecard which he now uses. Until this year he used one of my Cardkeepers and had his scorecard and pencil in his back pocket, hidden. Bottom line; after cheating all thorough the round, the score he ultimately posts for his handicap is now lowered once again. He’s been described as the world’s worst player, that plays almost everyday. Player 2. – This is a member of the golf industry who often plays in events. During the ten times we’ve played together I’ve seen him taking mulligans on any hole, on any shot. I can’t remember ever seeing him with a bad lie. That doesn’t mean he’s never hit the ball in the rough, behind trees or in the tall grass around the greens. He always picks his ball up out of the rough and replaces it where he prefers it. When there’s a tree in his way he moves the ball out of the way (I guess that’s why they call it preferred lies). One day on a par 5 he hit a good drive and went for the green on his second shot. The ball went far to the right. There was a creek beyond where he was looking and we never found the ball. Because he knew around where the ball was he felt he was robbed and deserved to play three from a free drop. After an up and down, he celebrates that he made a great par. To me, it doesn’t pay to question it. Just play on. Like Player 1 he’ll conveniently count only certain shots. What do you post on the card when you pick-up and say, that’s enough? Player 3. – This one really shattered me inside. I have a friend I’ve played with for over twenty years. He always wants to beat me and out drive me, but when we play for money, even just a few dollars, it gets real competitive. The first time I caught him cheating was during my first Myrtle Beach golf-o-mania vacation in March 2006. On the first hole of our first of eight rounds, he wanted a 3-foot gimmee, which I didn’t give. As he went down to mark his ball he tried to hide it with his body and then snuck the mark a few inches closer the hole. I didn’t say anything and never trusted him after that. I saw him do it a few more times at our home course and stopped playing for money until recently, after finally confronting him about cheating. Are you surprised to hear that he denied everything? Player 4. – This one hurt financially. A regular member of my group in the 1990’s inherited a lot of family money. His basement looks like a golf club hall of fame, with a putting green and more new sets of clubs than most pro shops. One day during a multi-hole Skins game carryover, I was about to win about $20. On a par 5 I’m on the green in three, with only a five needed to win. As his third shot ran just off the back of the green up against the tall grass, he groaned. As we approached the green I saw him scoop the ball with his wedge and move it a few inches closer, onto the fringe. I asked both players in the group if they saw what I just saw. They didn’t. Instead of a very difficult wedge shot to even make a par, he putted and of-course made it for birdie, robbing me of some much needed cash. He didn’t need the money, but his ego couldn’t live with the loss. This is the same player that carries a +1 handicap (which means he’s under-par) because he only posts his low scores. Yes, he’s a good player, but maybe a 3 or 4 handicap. Usually I end my stories by saying Golf is Great Theatre. This time is goes like this; Golf is a game that brings out the worst in people and offers the perfect setting for cheaters. Once again I refer to this quote from Bobby Jones; "There's golf and there's tournament golf, and the two are not very much alike". A variation on the Bobby Jones quote is this observation from my experiences as a recreational, amateur golfer; "There's cheating and there's ethical cheating, and the two are also not very much alike". Ethical cheating differs from regular cheating in that the players that cheat aren't REAL cheaters and would never consider themselves cheaters, because they have no idea they're actually cheating. Got that? In fact, I'm confident that the cheaters I refer to would be insulted if you accused them of cheating. In my previous article called "Cheating 101" I describe the habits of two golfers who are REAL cheaters, with cheating in their DNA, or professional cheat-a-holics. The cheating which this article refers to is broken down into two main topics. Remember, this cheating is practiced by honest people who think they're playing by the rules and just to be fair to everyone, I've seen it on both public and private country clubs alike. We're all familiar with the putting expression "never up never in", which means that if a putt is left short and never gets all the way to the hole, it has no chance of going in. A variation of that expression is this; "never in, never in". To clarify, let's begin with the fundamental definition of golf scoring; hit the ball into the hole with the least amount of strokes. My question is this; what do you put on the scorecard if the putt never actually ends up dropping in the hole? To clarify my question, look closely and you'll see how many times players finish a hole with the ball NEVER dropping in the hole. Instead, many golfers pick the ball up, lift it with their putter or swat it away from the hole, but count it as a gimmie, even when the ball is right next to the hole. Is that cheating? Are cheaters the only players that do this? Is this REAL cheating? OR is this a good example of ethical cheating? I plead the fifth. A good visual example is this short clip of Tony Romo after a great tee shot on a par three. http://golftwitt.com/btq6. As you'll see he misses his birdie putt, makes a half assed effort and misses his par, then casually taps his forth shot into the hole. In this case he actually makes the tap in but what if he missed it? Two questions: If he weren't on national TV or in a tournament, what score would he put on his scorecard? Going one step further, if he missed his tap in, what score would he put on the scorecard? As ridiculous as this sounds, I'll bet that more golfers than you think would have given themselves a par and if they missed the come backer would have given themselves a four. I realize I'm nit picking, but this practice occurs all the time and I'll admit it bothers me. For all those who say they do it to speed up the round, I say in most cases it takes the same exact amount of time to finish the hole and play by the rules. Of course there are beginners and situations where it makes sense for less talented players to speed things up by picking up. My example refers to serious players who either post a handicap score or talk about the rounds they shoot and should know the REAL rules. If you have an opinion, I'd welcome your email comments. The next area where ethical cheating happens all the time in non-tournament golf is the lost ball. The rules say that if you hit a ball out of bounds or where you're not sure if you'll find it, hit a provisional, but I see it all the time when players hit a ball in the woods they just drop one from somewhere close to where it went in and play on. The penalty for a lost ball or a ball hit out of bounds is one stroke plus distance, but in the case where a player just drops one, scores posted can vary. Since I cherish each round I play and don't like to play golf with controversy I typically don't ask a player what score they posted, but I'd bet many play it as a mulligan and don't give themselves a penalty. In the case of my cheat-a-holic poster child, he comes prepared with an extra ball in his pocket that he drops wherever he decides, identifies it as the original and plays on. Enough said about these two infractions. Contact ME, with your comments and other stories you've experienced. Anyone who’s followed Thumbs Down, The POWER MOVE of Golf and my beliefs about the importance of the hands in the golf swing, knows how vital I feel the hands are. When I had my own ball striking problems, I purposely didn’t think in terms of using my hands, mainly because the typical lessons of the day stressed the mechanics of making the perfect “on-plane” swing. To this day, that swing thought never helped my ball striking. When I couldn’t square the club by swinging on-plane and letting it happen naturally, I needed to find a method that made it happen, dynamically. The secret missing ingredient was the proper use of the hands and wrists, with the Thumbs Down rotation at impact. I hate to make it sound so simple, because golf isn’t a simple game. But adding that magic move and changing my swing priorities to the impact zone did the trick for me. It cured my out-of-control slice and added over 20 yards with every club (except putter). The harsh reality is that for a majority of all golfers, hitting the ball solid and on-line seems almost impossible. It doesn’t need to be any longer. During the process of looking for professional golfers and instructors who believe and preach the importance of focusing on ball striking versus a pretty swing (like I do), I discovered Clive Scarff and his “Hit Down Dammit” newsletter and line of products. Clive’s October 3, 2008 newsletter had a section devoted to the role of the hands in the golf swing, with a short video, that says it all in under two minutes. I couldn’t have said it better, so I encourage anyone who wants more distance, more accuracy and more control, more often to read the next paragraph and view the attached video link. Lower scores are not a guarantee; they are the natural results. There is a LOT of confusion over use of the hands in the golf swing. Ironically, most players don't use their hands enough. Especially their dominant hand (right hand for righties, left hand for lefties. Hand use has traditionally been discouraged, rather than recognizing that what most struggling players were doing with their hands was hitting up. The answer isn't to discourage hand use, it is to encourage hitting down with your hands. Copyright© 2013, AJM Marketing Enterprises LLC.